Chooper's Guide is proud to announce the first searchable database for syringe exchange programs in the United States. Please share this with friends and colleagues. All listings are diamond level ($5,000 value) and offered to all Harm Reduction Organizations and programs free of charge. To Create a New Listing click here and select Addiction Community Resources and follow the instructions. Need help adding or customizing your listing, send us an email and we will gladly get you listed quickly (no charge). Chooper's Guide is committed to supporting all Harm Reduction Initiatives and to elevating the awareness of the necessity of these life saving programs. Syringe Exchange/Sterile Syringe Programs (SSPS) aka Needle Exchange Programs are crucial in preventing the transmission of blood borne diseases such as HIV and Hepatitis. We have the recently added these resources to a searchable database which is now live. This is the first query capable database in the country. We have added a legislator contact page so you add your voice for change. Please Contact your members of Congress and tell them that these programs are crucial to save lives. The evidence is clear and conclusive. SSPs prevent new HIV infections without leading to increased drug use. SSPs also promote broader health aims, save taxpayers money, promote public safety, and enjoy broad public support. Federal support for SSPs should be restored— not only to advance these important public policy aims, but also to provide the means for states and local communities to determine the best strategies to address their own health needs. Locate a sterile syringe exchange program near you. In 2009, Congress removed a 21-year prohibition on the use of federal funds to support SSPs. Two years later, however, Congress re-imposed the ban on federal funding for SSPs. However, without federal funding, these SSPs are only able to provide sterile syringes or fewer than 3 percent of all injections estimated to occur each year. Information prepared by amfAR, The Foundation for AIDS Research (http://www.amfar.org/uploadedFiles/_amfarorg/Articles/In_The_Community/2013/July%202013%20SEP%20Map%20.pdf). Data provided by the North American Syringe Exchange Network (NASEN) and the Beth Israel Medical Center. Last updated July 2013. 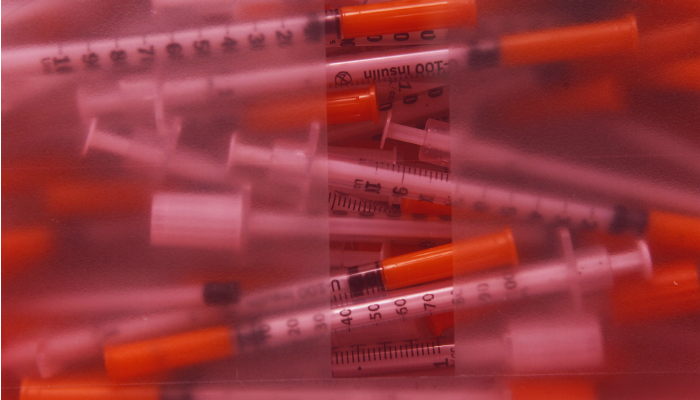 Injection drug use remains a driving force in the U.S. HIV/AIDS epidemic, accounting for 14 percent of new HIV infections among women and 7–11 percentof new HIV infections among men in 2010. African-Americans are eleven times and Latinos are five times more likely to contract HIV from an infected needle than Caucasians. Scores of studies have conclusively demonstrated that syringe services programs (SSPs) help prevent infection by reducing the re-use and circulation of injecting equipment without increasing drug use or resulting in other negative consequences. SSPs have helped New York City—where 50 percent of all IDUs were living with HIV in the early 1980s—approach the elimination of new drug-related transmissions. 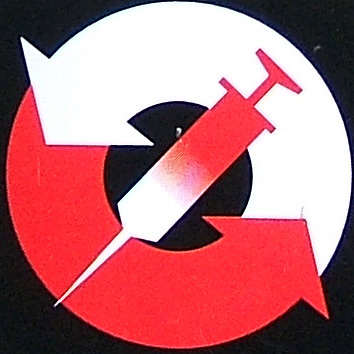 Needle sharing during injection drug use is the primary driver of hepatitis C (HCV) infection in the U.S., with an estimated 50–80 percent of drug users becoming infected with HCV within five years of their first drug injection. It costs hundreds of millions of dollars annually to treat HIV and HCV caused by the sharing of contaminated needles and syringes. Since many people who inject drugs do not have private health insurance, U.S. taxpayers bear the lion’s share of these costs. Individual needles and syringes cost less than 50 cents. For every dollar invested in SSPs, $3–7 in HIV treatment costs are saved. SSPs keep contaminated injection equipment off the streets, protecting the public and law enforcement from potential exposure to infectious needles. By facilitating entry into drug treatment and recovery from addiction, SSPs help individuals struggling with chemical dependence to repair their lives and become productive members of society. SSPs enjoy broad public and professional support. They currently operate in 186 U.S. cities. SSPs are supported by leading medical and public health organizations, including the American Medical Association, American Public Health Association, National Academy of Sciences, American Academy of Pediatrics, World Health Organization, the World Bank, and the International Red Cross-Red Crescent Society. The American Bar Association strongly supports SSPs, as does the U.S. Conference of Mayors.